To make sure you get the best deal we'll show you great prices from all of our drivers, including Darius , if they're available on the day of your move. Have a question for Darius ? No problem, send them a message and they'll email you back as soon as possible. If you have a more general question you might find it answered in the FAQ, or you always contact one of our brilliant customer service team. * Darius won't be able to see your email address. Man and Van service does not need introduction, the name say it all. Basically you just decide when you need a van and we’ll do the rest! I have several years experience in the delivery service industry and in that time I have developed a strong reputation for offering a safe, prompt and very reliable service. I personally do the pick up and delivery by myself. I carry your goods in a LWB Peugeot Boxer that is carpeted inside for added protection. I also have straps and blankets to secure and further protect your items. My driver was Darius. He was on time, infact few mins before the time. He was professional in moving the stuff. He had a trolley which helped to move the stuff quickly. Infact he helped to move most of the stuff. I liked his service and would recommend him to anyone who would be needing one. Made the stressful task of moving totally carefree. Efficient and diligent, really could not ask for more! Great service and worked hard with us to get it done in the hot weather. Very helpful and friendly. Spoke perfect English. Darius was ace! I would highly recommend him and will definitely look to use his services again! Very helpful, advised us on the best way to pack. Went above and beyond. Absolutely fantastic service. Highly recommend this company to others. The driver was so incredibly helpful and polite. Truly valued and appreciated. Thank you so much. Really helpful, texted to let me know progress and helped me get sofa in place. Very helpful and professional. Would 100% recommend. Thank you for helping us to move today. Darius was super nice, even helped with moving boxes etc even tho I did not book help, very nice and funny man. Will move with him next time again. Only 10 minutes late! was very kind and understanding, played great tunes. Great guy. Did his job perfectly and proactively help move everithing. Driver was on time and friendly! Highly recommend! Second time darek has helped us move, he is friendly and helpful. 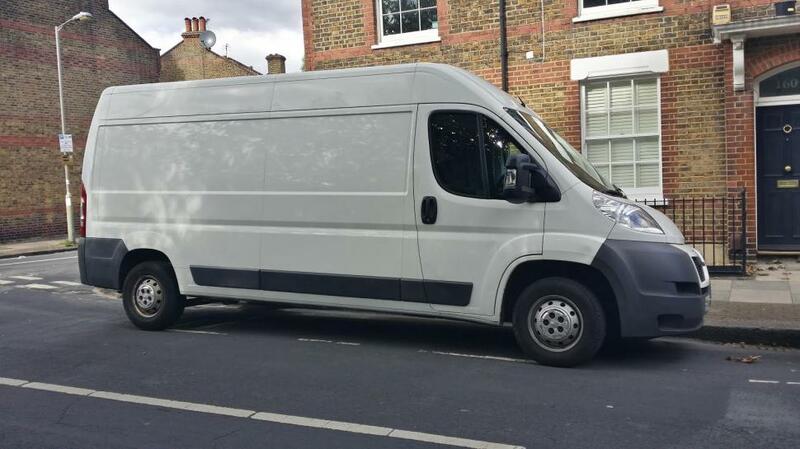 I ordered a long wheel base van the driver came with a Shorter van which was far too small causing great inconvenience and delayed everything. He also brought his daughter as well which i found unacceptable even though she was very good. I was refunded £20.00 for the inconveniences. Excellent service, Darek was very efficient and really took care moving delicate items, his van had all of the necessary blankets, straps and a trolley. Would highly recommend.